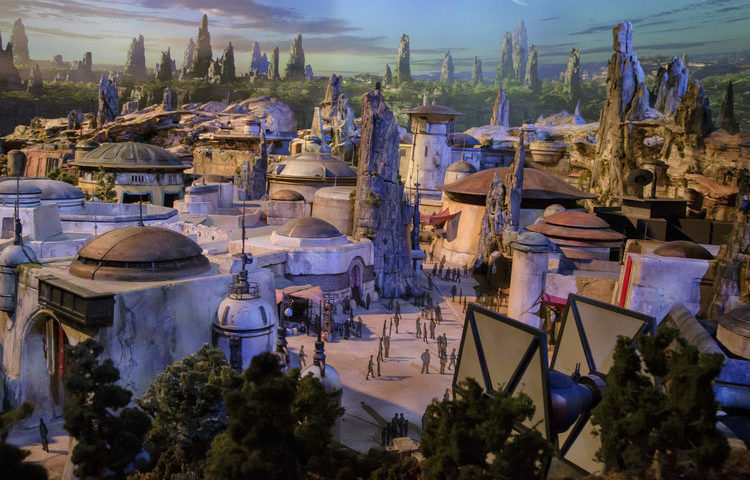 The Disney Parks Blog has provided an update on various projects currently underway at Disney World, and that includes the recently named Star Wars: Galaxy’s Edge. If you were at the D23 Expo in Anaheim last month, you probably got a good look at the extensive model of the attraction. If you missed out, you’ll have a chance to see a portion of that model when it goes on display at Disney World this fall. Images belong to Disney Parks.